Thats a cracker, right up my street. Indeed, there’s just something about them, isn’t there? great tones, lovely contrast, amazing subject. but, especially: perfect, flawless composition – brilliant! Thank you for your kind words, Alessandro! I really like the symmetry and the care you’ve taken to frame this. What ever the subject the trilogy, triptic, trinity always good composition. Thanks Carl! I’m definitely guilty of the ‘rule of three’. Hard habit to break! 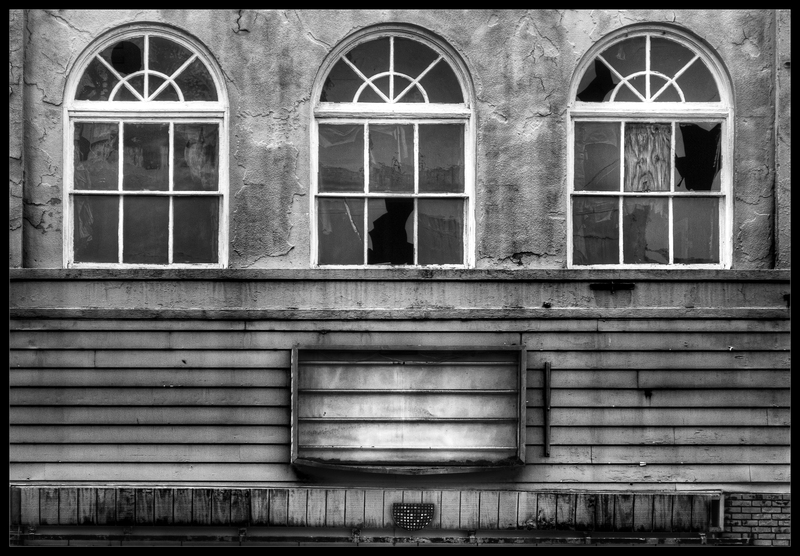 Very nice, love those broken windows and always you have such a nice tonal quality. Thank you for your comment, and visit! I love this style of photography, it’s so atmospheric! Great photo! Beautiful, I love the PERFECT composition and the contrast on this shot ! Bravo !!!!! Great composition, again. Works very nicely with the title.